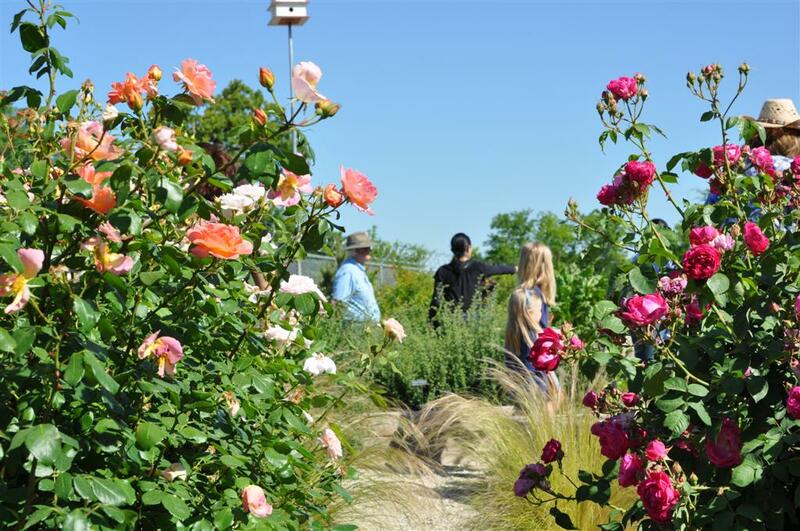 Dallas gardeners have enjoyed a long, lovely spring and I don’t think we have glowed enough about it . If you feel like glowing, make a comment at the bottom of this post. We will send a package of seeds from our garden to the first 10! Think back to our post, A Texas Spring? Week after week, we have enjoyed blooms galore! 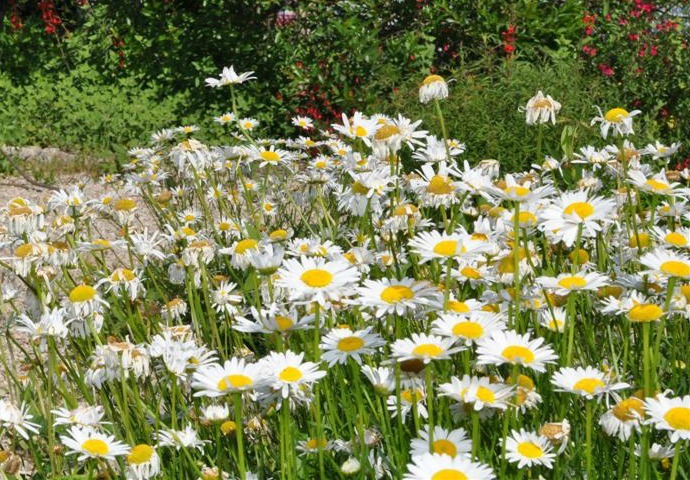 We planted these Oxeye Daisies in 2009 and this year they have been a “best of show” type exhibit. Our Earth-Kind® Roses have bloomed continuously as you can see looking through Lafter and Maggie. 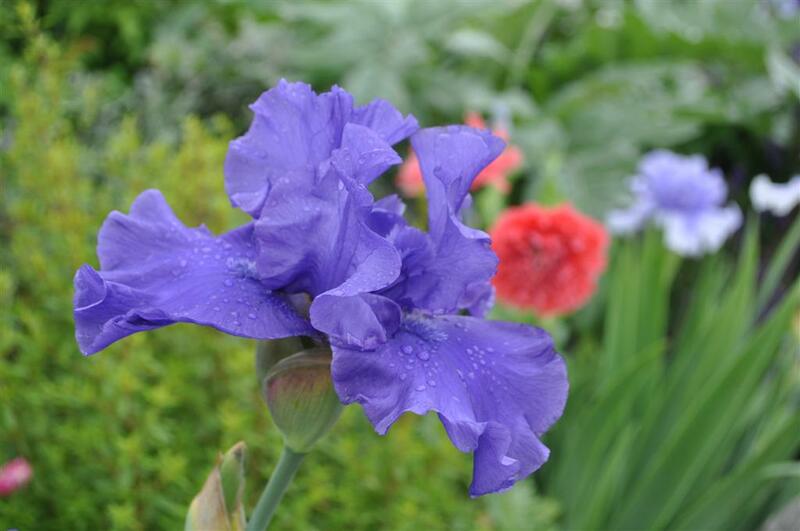 Our Iris have finished blooming so we must say goodbye to them. How appropriate this one is called Bye Bye Blue! Posted in Earth Kind Roses, Spring and tagged Earth-Kind Roses, Iris, spring blooms, WaterWise gardening. Bookmark the permalink. Beautiful! Thanks for giving us a little tour. I just spent the first 4 hours of my day “loving on” my garden. Wow! Can’t get enough!!!! The garden is so beautiful. I love how you share and teach children about the garden and byen bye blue is beautiful. I love the color!